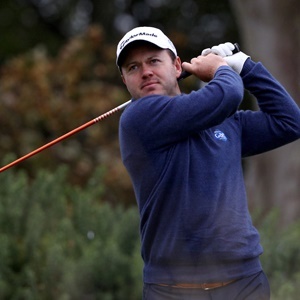 Johannesburg - When the players taking part in the Joburg Open tees off for the first time as a tri-sanctioned golf tournament on Thursday, the spotlight will be on Richard Sterne and whether he can keep his record intact. The event, sponsored for R16.5 million, will be played at Randpark Golf Club in Randburg, north of Johannesburg. It will take place over two courses and will be held under the banner of the Sunshine, European and Asian tours. Because the showdown is sanctioned by three tour bodies, the Open had to be brought forward to December. Sterne won the Open for the second time by carding a score of 260 with 27 under par at the Royal Johannesburg and Kensington Golf Club in 2013. This is the biggest par margin that a local player has posted in the Open since it was first held at the venue. Now the 36-year-old Pretoria-based player, who was also victorious in 2008, has set his sights on leaving an indelible mark at Randpark by sinking as many birdies there. The course was chosen to host the Open because the traditional venue is undergoing an extensive upgrade to its east course. The event has been won eight times by local golfers since it started, which indicates that competition at local level is stiff. But Sterne is the man who has stolen the glory so far. Since its inauguration, the Open has been co-sanctioned by the European tour, which has helped to attract stronger fields due to the larger prize fund. It also affords high-finishing players, who are not already exempt, the chance to earn entry into the British Open Championship. Darren Fichardt, who is also from South Africa, won this year’s Joburg Open in February. He posted a score of 15 under par for a total of 200 and beat runners-up Stuart Manley from Wales and Paul Waring from England by one stroke. South African golfing champion and former British Open winner Louis Oosthuizen has confirmed that he will participate in the showpiece. Other top local players to watch at the event include Brandon Stone and Dean Burmester. There will also be fierce competition from an overseas contingent that includes Denmark’s Anders Hansen and Andy Sullivan from England.